Both French teams — top-ranked Women’s Division skipper Pauline Courtois and Open Division skipper Maxime Mesnil — and defending Nations Cup Women’s champion Nicole Breault scored all picket fences on the first day of racing on Wednesday at the 2019 World Sailing Nations Cup. Congratulations to Nicole Miller, who won our raffle of a Jim Dewitt original painting at last week's Boat Show. 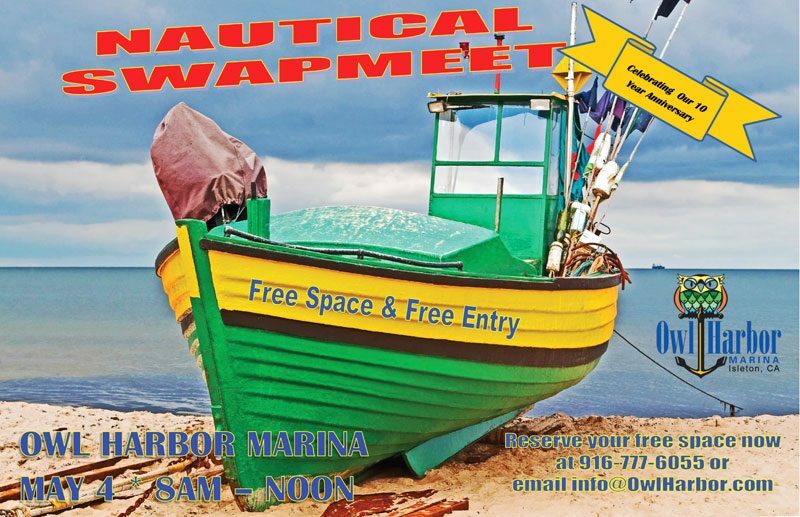 If you'll be cruising south this fall, and intending to do the Baja Ha-Ha, the Grand Poobah highly recommends that you mark noon on May 8 on your calendar. For that's the moment entries will first be accepted for the event, and berth space in Cabo San Lucas is based on how early a boat was signed up.